Credit reports. Credit scores. Depending on the state of yours, these words may be enough to strike fear in your heart. If your credit score has become less than stellar, taking up the task of repairing your credit can seem scary and overwhelming. But your credit — particularly bad credit — is something you quite literally cannot afford to ignore. The effects of poor credit are far-reaching and can end up costing you a lot more down the road the longer you avoid repairing it. You probably know some of the implications of a poor credit rating, particularly if you’ve recently been denied credit. Even if you haven’t been denied credit, you are certainly paying for your lower credit score in the form of higher interest rates on the cards and loans you do have. And higher interest rates significantly impact what you end up paying for credit in the long run. Even average card interest rates result in consumers paying much more for the credit than they would have paid with cash transactions or zero-percent interest cards that are paid in full each month. Until they crunch the numbers, most consumers don’t really consider how much their bad credit is costing them. A person with an average daily balance of $3,000 in credit card debt, at an interest rate of 15%, will pay and additional $400 or more per year on that debt. Consider that interest rates on cards for consumers whose credit scores fall in the fair to poor range can be upwards of 20 percent and it’s easy to see how quickly these interest charges can add up. When it comes to mortgage interest rates, the implications of a one- or two-percent hike in interest can literally be the difference in tens of thousands of dollars over the life of a loan. A recent article from MoneyTalks News paints a sobering picture. The article uses an example based on a $200,000, 30-year mortgage loan for a borrower with a credit score of 760 or higher vs. a borrower with a credit score of less than 640. With a poor credit score and an interest rate of 5.34 percent, a borrower would pay $201,610 in interest over the life of the mortgage loan. Contrast that with the borrower with a higher credit score, who at an interest rate of 3.751 percent, would pay $133,484 in interest. That’s a difference of more than $68,000, or $5,600 per year in mortgage interest costs, dictated entirely by credit score. When it comes to low credit scores, there’s more to the story than high interest on loans , however. For example, credit checks have become a standard part of the application process when renting an apartment or house, and applicants with poor credit can expect to pay significantly higher deposits and fees. It is not uncommon for landlords and rental companies to collect two or three months’ rent upfront, as well as impose higher security deposits from renters with low credit scores. It’s also becoming more common for rental companies to asses what is referred to as a “risk fee.” While these fees vary in amount, they are typically non-refundable. At an average monthly rental rate of $1,234.43 for a one-bedroom apartment in cities across the U.S., those extra deposits and fees add up fast. When it comes to renting a place to live, your poor credit score could cost you up to $3,000 or more than you’d pay with a good or excellent score. Why Do Consumers Shy Away from Credit Repair? Despite the well-documented costs of poor credit, many consumers continue to view repairing their credit as an overwhelming or insurmountable challenge. But when it comes to credit repair, you don’t have to go it alone. Obtaining the free copy of your credit report to which you’re entitled each year is the first step. By reviewing your credit report you can begin to determine what items are negatively affecting your score as well as determine if your report currently contains any inaccuracies. The next step is determining whether or not you want to take a DIY approach, or work with a credit professional. Many take the DIY approach based simply on cost. While it is understandable — particularly in times of financial hardship — that you may not want to incur the costs associated with quality credit repair services, it’s important to understand that effective and efficient credit repair almost always requires professional assistance. Attempting to repair your credit on your own on can turn into a long, arduous, and frustrating process. Working with a professional eliminates those obstacles that cost you time and cause you frustration. Working with a legal expert to repair your credit can pay even larger dividends in terms of rewards. Legal expertise can help you understand credit laws and how you can leverage them. It will also provide a higher level of service than many other credit repair agencies, including regular FICO scores and personal financial management tools. 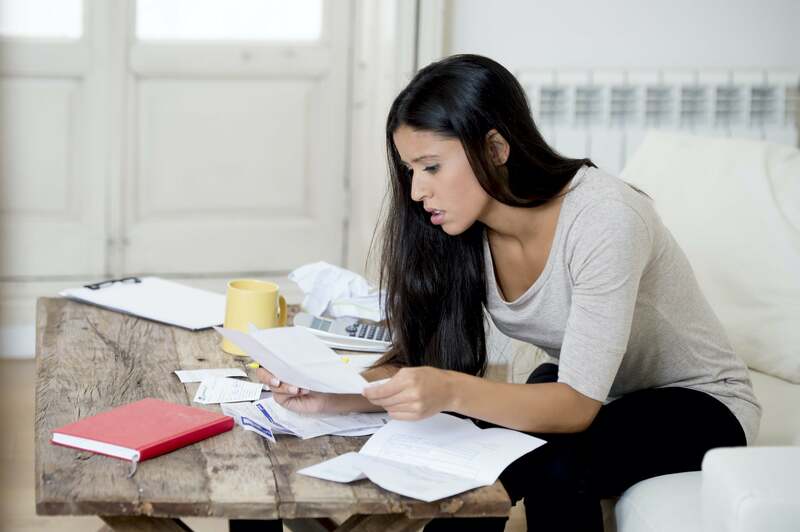 When considering your options and what it may potentially cost you to repair your credit, it’s important to take a hard look at how much a poor credit score is costing you on a monthly — even daily — basis, considering the factors outlined above. You’ll achieve better, faster results by partnering with a professional that can navigate credit repair and quickly and effectively help you address the factors that are dragging your score down. You’ll also benefit from the additional services and education provided to ensure your credit report and score remain accurate and fair for the long term. Your future self with thank you! This entry was posted in Credit 101 and tagged APR, Credit Repair, FICO. Bookmark the permalink.